Oh, yes! It’s true. Diamonds are a girl’s best friend. And a signature blue box under the tree is sure to get a squeal of delight from any luxury-loving wife, as would a fabulous designer handbag. Oh, Louis! How I love thee! I really envy those women whose husbands take them outside with their eyes covered only to reveal a new Lexus or Mercedes wrapped in a huge red bow. How do they find a bow so big? 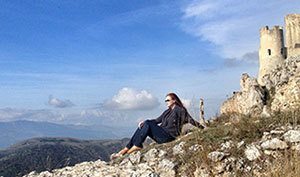 Not all luxury items have huge price tags. Here are some great ideas for under $200 that would make anyone squeal with delight, and you don’t even need a big bow. Spa robes are the perfect weight. Every time I’m at a spa, I always wish I had the same comfy robe at home. 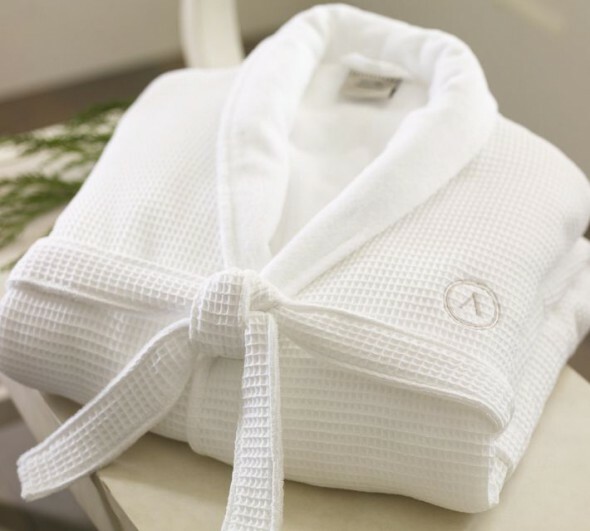 This robe from Pottery Barn is ideal for year-round wear and great to slip on in the afternoon as you’re getting ready for a dinner date. Having it monogrammed takes it up a notch as an ideal, personalized lux gift just for her. You can’t go wrong with UGGs when it comes to luxury and comfort. Truthfully, it’s one of the best gifts I’ve ever received. These Ansley Shearling Moccasins in eggplant are sure to please that special someone on your list. The indoor/outdoor soles are great for that run to the mailbox, too. Just don’t forget to take them off. Shhh!! I’ve been known to wear my slippers to pick up my son from school. They are that comfortable! Available at Garnet Hill. 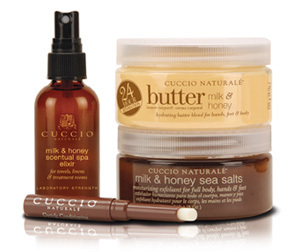 A Raleigh spa recommended the Cuccio Milk and Honey blend for my dry hands, skin, and feet several years ago. It’s a true gem and smells delightful. This “Spa to Go” kit is the perfect take-home spa treatment for any lucky lady in your life. 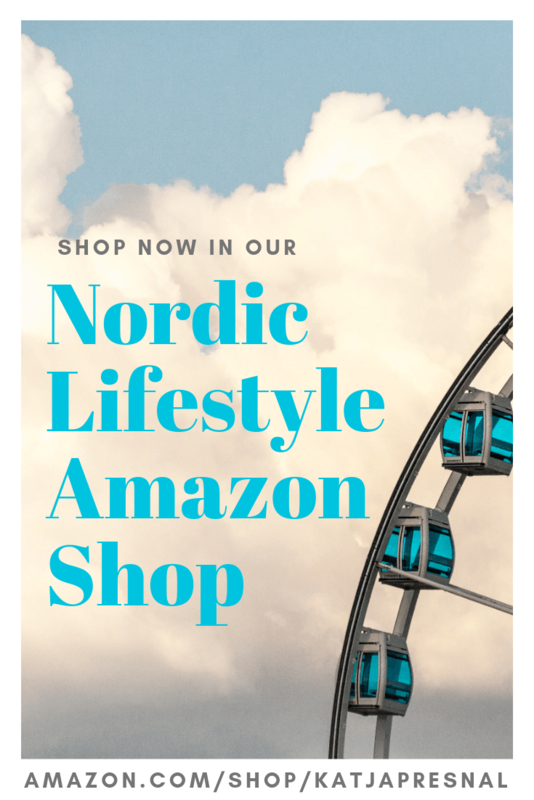 Available at BeBeautiful.com. 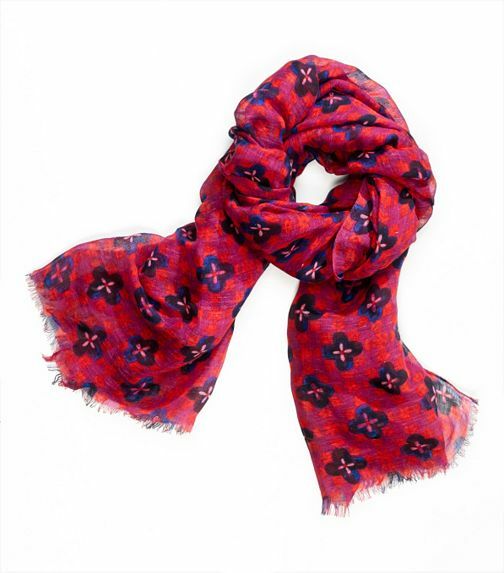 This lux scarf would be great for adding a little layer of warmth when traveling on planes, trains, or in the car. Besides, any woman would feel ultra-stylish with a Tory Burch scarf around her neck. When in doubt, buy Tory! Available at Tory Burch. The Lilly Pulitzer Resort Travel Bag. Need I say more? This brightly colored print will be a sunny accent for the next holiday getaway in style. Whether it is a long plane ride or a quick getaway in the car, this resort tote is sure to please the luxury traveler. Available at Lilly Pulitzer. Kate Spade has an assortment of luxury watches that won’t break the piggy bank this holiday. This is especially good for women who like to change watches as quickly as the time passes. I tend to wear the same watch over and over. 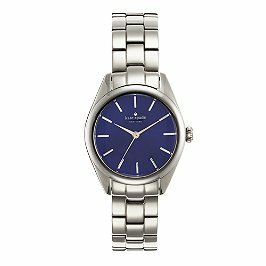 As a result, I’m drawn to the Kate Spade Seaport watch for its timeless, classic style, but if your lux lover likes to wear a watch as a fashion accessory, then Kate’s watches are a good bet, and all are priced under $300. 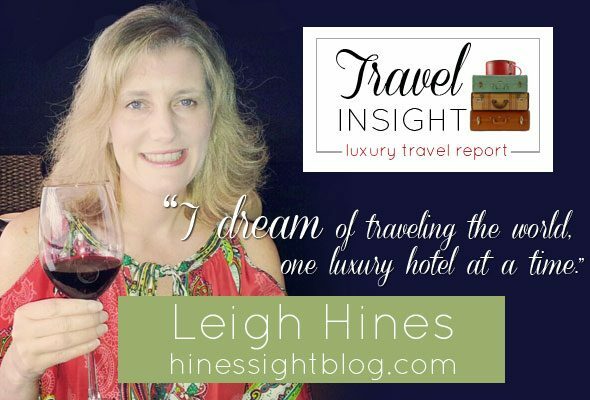 A luxury lover loves a five-star hotel. What’s not to love? There’s the spa, gorgeous décor, and delicious cuisine. Hello. When can I leave? 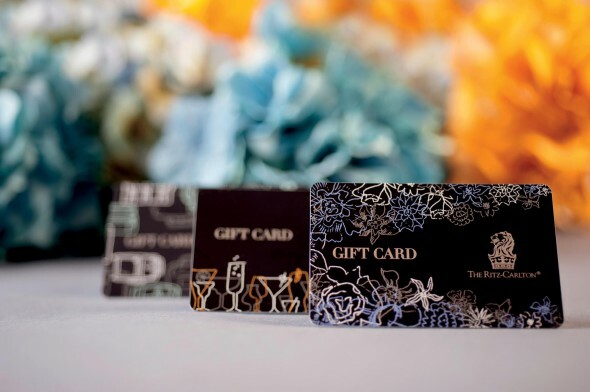 Most every luxury hotel chain offers gift cards these days. Be a good Santa, and surprise your special someone with a gift card. Ritz-Carlton accepts gift card amounts from $25 to $2,000. Psst! I have an idea. 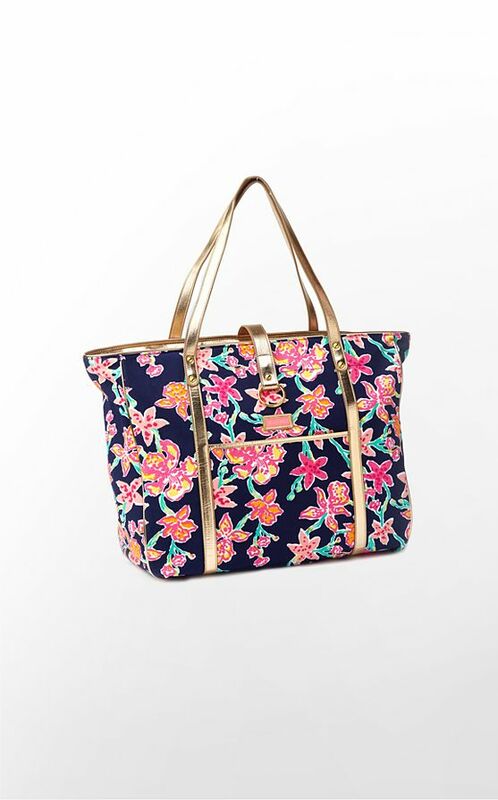 Buy the Lilly Pulitzer resort bag, and put the gift card in it. Now, she’ll have somewhere to take her bag. I sure do wish I had the bag for my Ritz-Carlton Charlotte visit in December. Or better yet, the Kate Spade watch, then I would definitely be on time for my afternoon tea reservation. 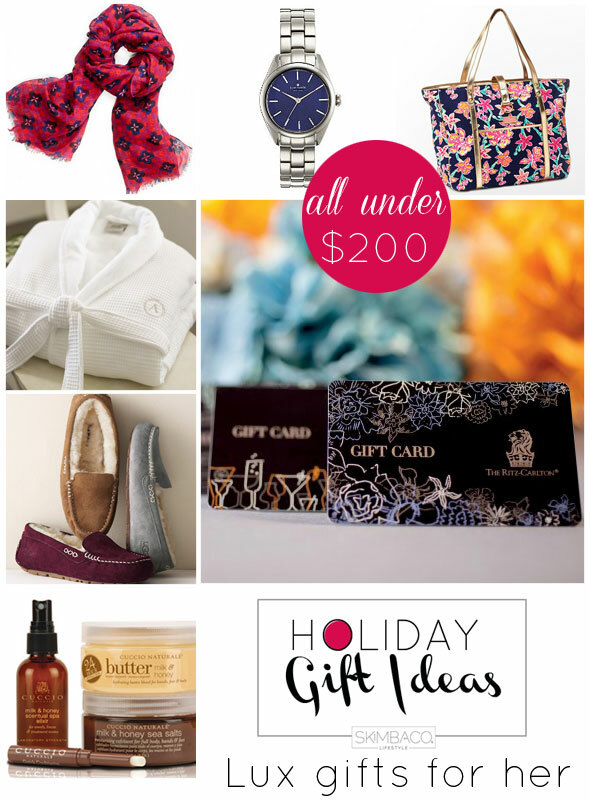 Get more gift ideas from the Skimbaco team in the following days and weeks leading up to Christmas. You know I love that Tory scarf. 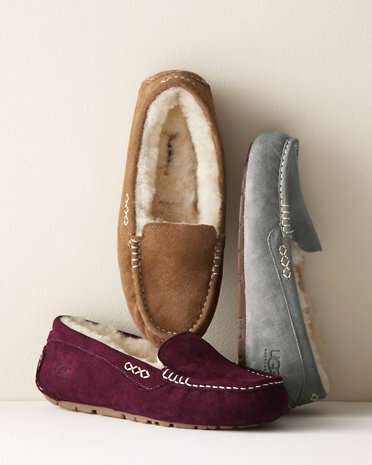 And I might get the Ugg slippers for my sister! I really like the scarf, too. I think the Uggs are great, too. I love the watches, too.